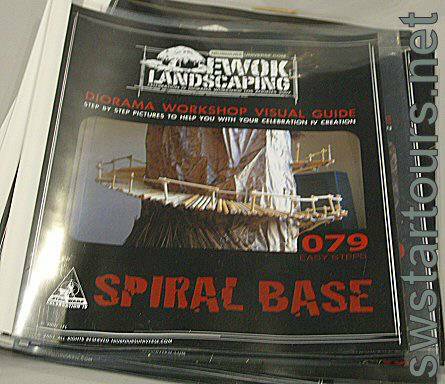 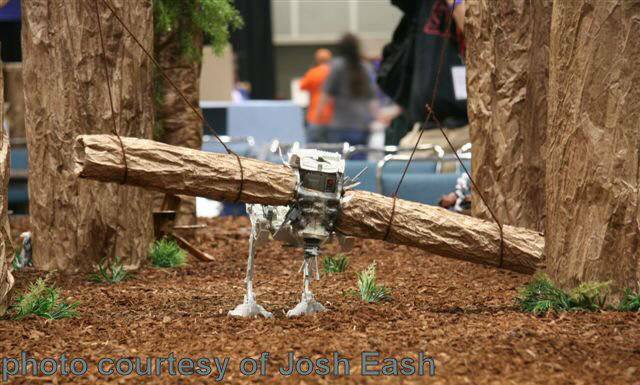 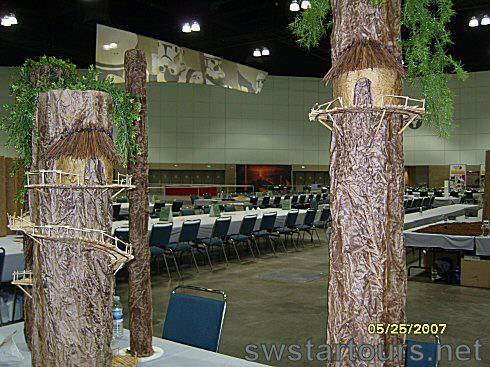 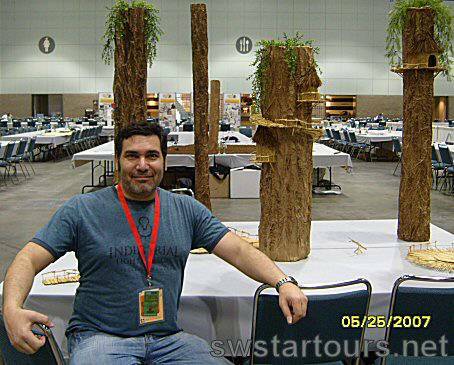 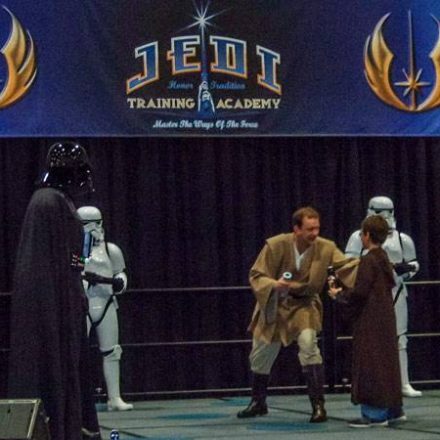 Special effects artist and Star Wars diorama guru Frank D’iorio aka Niubniub headed this exciting and popular project at C4: the Ewok Landscaping event. 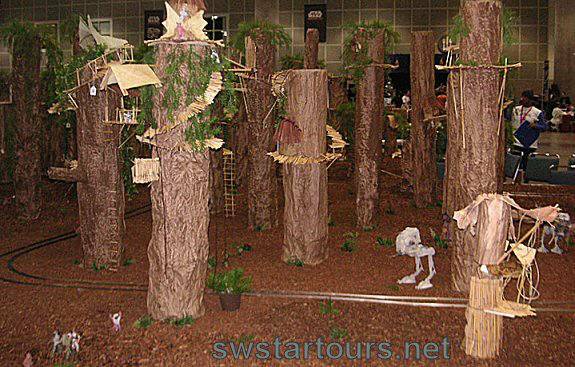 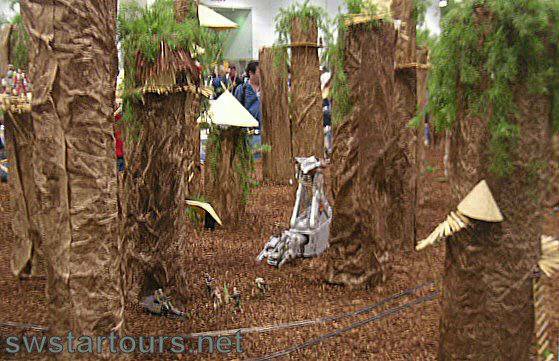 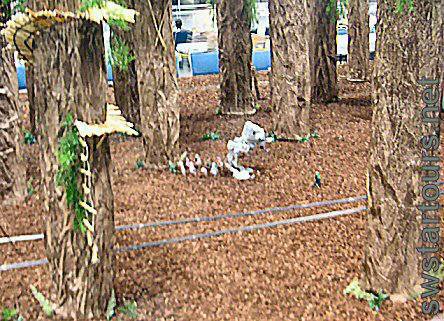 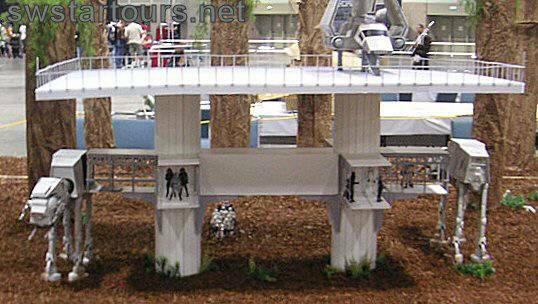 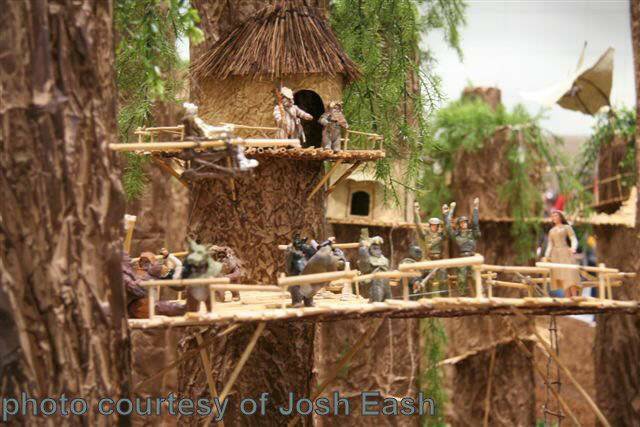 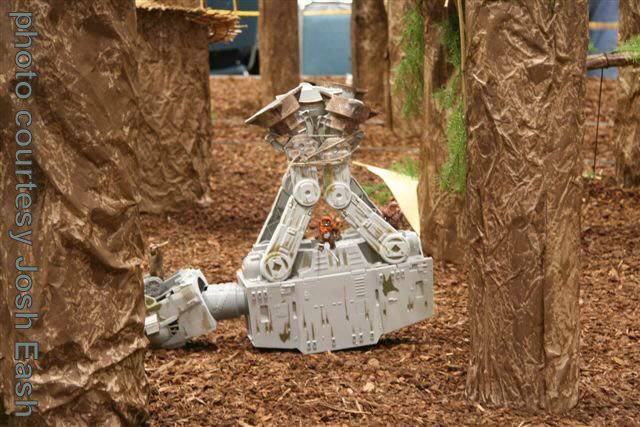 But what’s an Endor diorama without speeder bikes zipping between the trees? 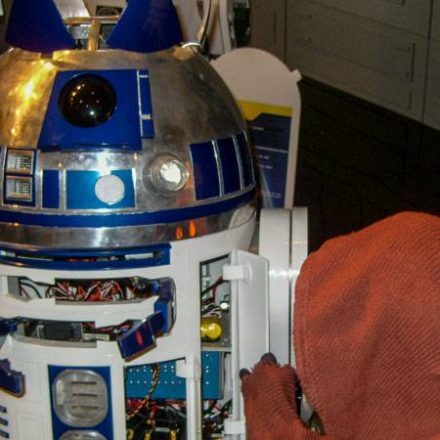 Frank had that all figured out, too. 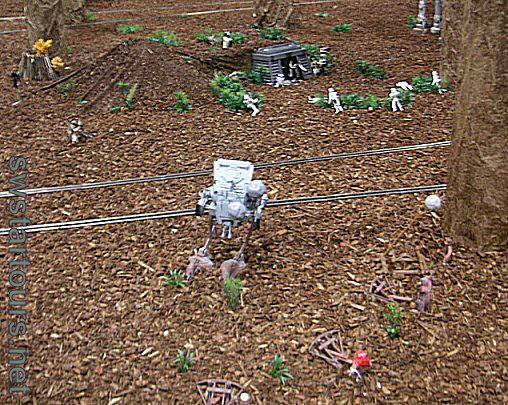 A model train was converted to provide the needed elements of speed and movement. 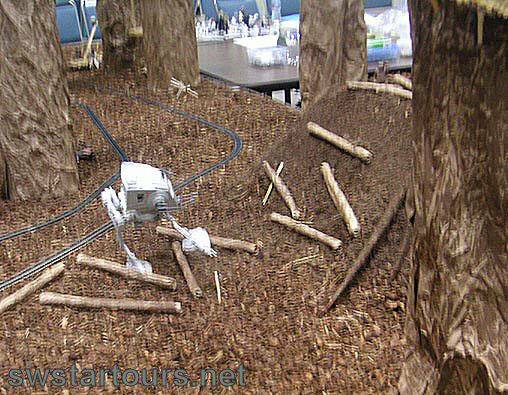 Another fun touch was provided by playing Endor sound effects and ambient noises continually in the Ewok landscaping area… not unlike the music and sounds heard in the Ewok Village queue elements at Florida’s Star Tours. 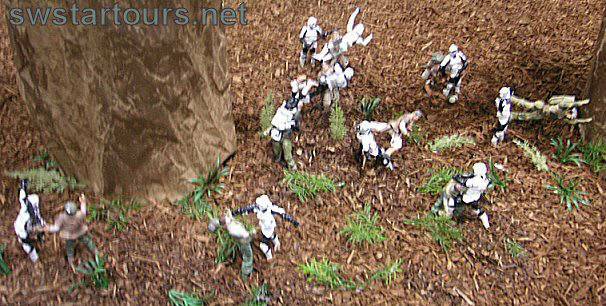 As the days progressed, the diorama grew massive. 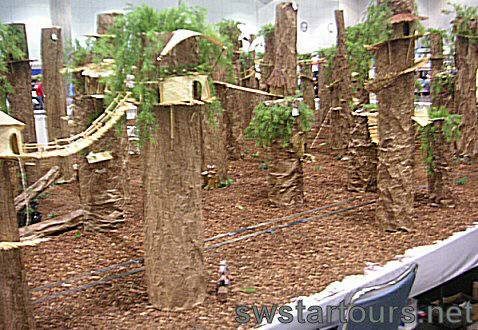 They realized they were going to need even more landscaping micro bark, and Mark Patton made a supply run to pick up twenty more bags, to expand the environment to incredible proportions.